The election of Jair Bolsonaro is bad for research and the environment. A decade ago, under the leadership of Luiz Inácio ‘Lula’ da Silva, Brazil seemed like a tropical juggernaut that could play a leading part in the fight against climate change. The economy was booming, helping Lula’s government to lift millions out of poverty. Beer and soya-bean production was steadily increasing, even as deforestation — one of Brazil’s largest sources of carbon emissions — in the Amazon plummeted. Today, Lula is in jail on corruption charges, the economy is a shambles, violence is on the increase and deforestation is back on the rise. And now Brazil has elected as president Jair Bolsonaro, a right-wing demagogue with an anti-environmental agenda. Scientists, academics and environmentalists in Brazil have been raising the alarm about Bolsonaro’s environmental policies — as well as his anti-democratic leanings — for months. But his vitriol and fiery rhetoric carried the day. Bolsonaro captured 55% of the vote in the second round of the election on 28 October against Fernando Haddad, former mayor of São Paulo and political scientist who became the Workers’ Party candidate only after the jailed — but still popular — Lula was barred from running. There are many reasons to worry — for people both inside and outside the country. A former army captain and long-time legislator from Rio de Janeiro, Bolsonaro has earned his ‘Tropical Trump’ moniker by denigrating women and minority groups, threatening to take land away from Indigenous communities and declaring he would prefer his son to be dead rather than gay. His solution to the epidemic of violence is to put guns in the hands of citizens — and make it easier for police to use lethal force. He speaks fondly about the military dictatorship that ran Brazil from 1964 to 1985, and his vice-president, Hamilton Mourão, a former army general, has openly discussed the possibility of military intervention to quell the political chaos that has reigned during the past few years. His election is another blow for those who value free thinking and free expression. Bolsonaro’s position on science and the environment is just as worrying. He promotes development at all costs and has at times threatened to follow US President Donald Trump and pull Brazil out of the 2015 Paris climate accord (although two days before the election, Bolsonaro said Brazil would stay in). He has promised to merge the environment ministry — the function of which includes the protection of the Amazon rainforest — with the agriculture ministry. Regardless of whether he can get such changes through the Brazilian Congress, his election sends the wrong signals to landowners and businesses who hold considerable sway over the future of the largest tropical rainforest on the planet — and the carbon that it contains. 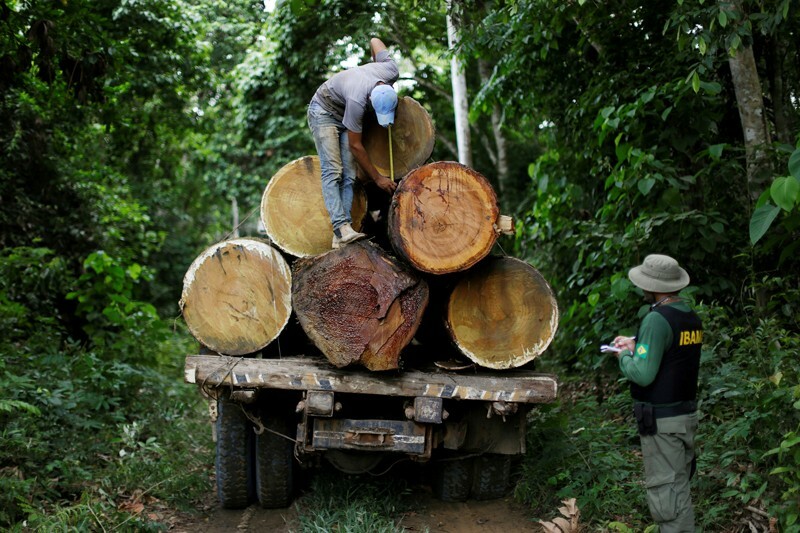 Globally, deforestation produces around 10% of greenhouse-gas emissions. The tale of Bolsonaro’s rise to power is by now sadly familiar. He unleashed incendiary anti-establishment rhetoric that spread like wildfire on social media and found fertile ground with a legitimately angry populace. Brazil is still recovering from a crippling two-year recession that began in 2014, and the country is reeling from ongoing investigations into political corruption. 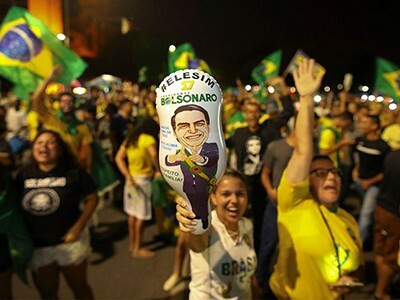 The Brazilian public’s desire for change is entirely justified, but Bolsonaro is no saviour. He represents the biggest test yet for Brazil’s young democracy, and academics will soon find themselves on the front line fighting for evidence-based policies. They have allies. His environmental agenda will face intense domestic and international opposition — including from many powerful beef and soya-bean exporters that do not want to deal with the stigma of deforestation. Scientists everywhere should add their voices to the protests. On the same day that Bolsonaro announced his reversal on the Paris accord, Brazilian media reported that police and election authorities had conducted raids on at least 17 universities, questioning students and academics about illegal election activities — the law prohibits electoral publicity in public spaces. The authorities apparently seized protest materials, including pro-democracy and anti-fascist banners and flyers. Brazil’s budgetary woes have meant that researchers have struggled for years to fulfil the nation’s potential to be a scientific giant; the federal science ministry’s budget is now roughly one-third of its 2010 level, and further cuts are expected next year. Luiz Davidovich, a theoretical physicist and president of the Brazilian Academy of Sciences, has said that conducting research in Brazil is “an act of resistance”. That resistance will be even more crucial when Bolsonaro takes the helm.